Freedom in mobility and healthful Exercise. Our purpose is to provide safe mobility and wellness to people who currently require wheelchairs, scooters, walkers, canes, who need to go shopping, or who just find walking any distance to be overpowering. We expect to revitalize the legs, knees, and heart muscles through ability-appropriate exercise while providing enjoyment and mobility. 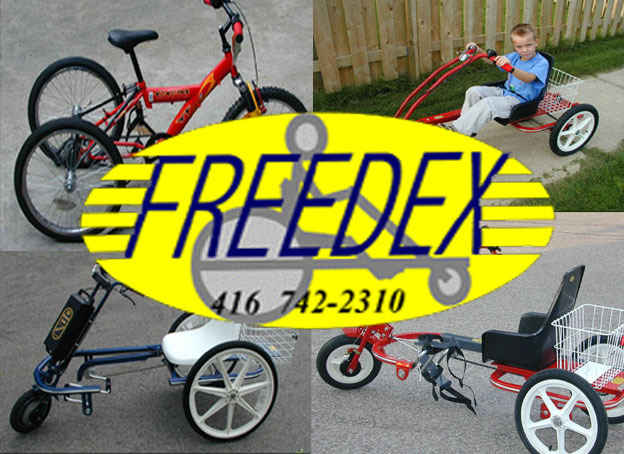 In cases where hills or other conditions limit the use of our tricycles, Electric assist is available. Please see our Products page for more information.